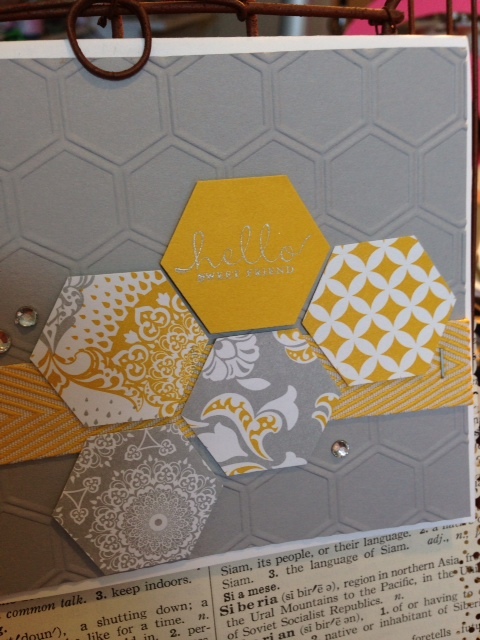 My base is Whisper White with a smaller piece of Smokey Slate embossed with the Honeycomb Embossing Folder. I punched several patterns of Eastern Elegance DSP with my Hexagon Punch. Some of these are adhered to the card flat and a couple are popped up on dimensionals. I love the effect this gives to this simple and elegant card! I stamped the sentiment in Silver Encore ink on Crushed Curry cardstock and punched it out. Isn’t that beautiful? Final touches are a piece of Crushed Curry Chevron Ribbon and some Rhinestones. I hope you have enjoyed my card as much as I enjoyed making it! I felt the need for something simple, the last few weeks in my world have been anything but simple between work and home and this card was just what the doctor ordered: clean & elegant! 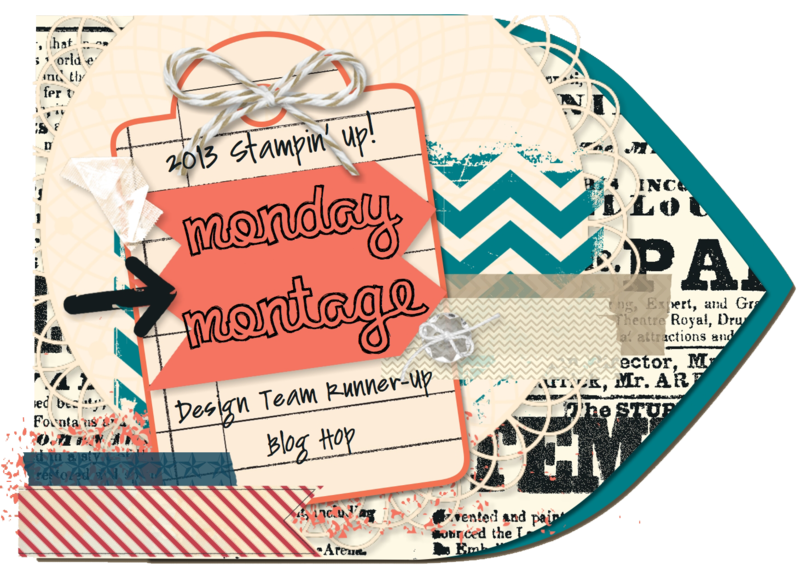 I’m so glad you are back for week 2 of our Monday Montage! I thought the last group of projects we shared were simply amazing! So don’t forget to come back every other Monday for another big dose of creative inspiration! This entry was posted in 2013 Artisan Design Team Finalist, Cards, Stampin' Up, Techniques by kate80132. Bookmark the permalink. I love this color combo! Fabulous card! 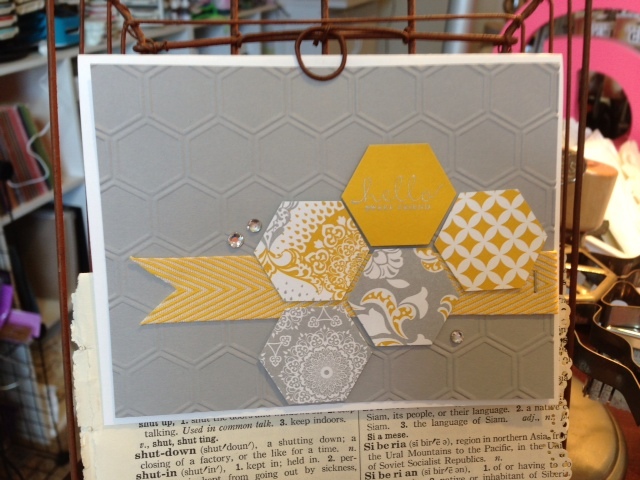 LOVE the colors and the different hexagons. I’m definitely CASE’ing this one! Thanks for sharing! I love this, Cathy! It’s simple but it has such fun details — the rhinestones, the stapled ribbon, and the gorgeous colors. I love these colors together…so calming and pretty! I love how simple this is, yet so stunning…well done! I so agree with your description of your card….really love the silver and gold colors and our fab new paper…..yes, your card is lovely!